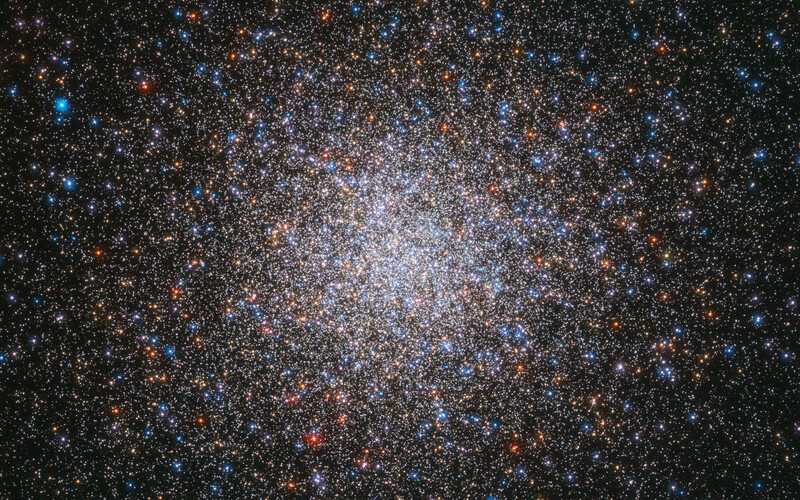 Star clusters are commonly featured in cosmic photoshoots, and are also well-loved by the keen eye of the NASA/ESA Hubble Space Telescope. 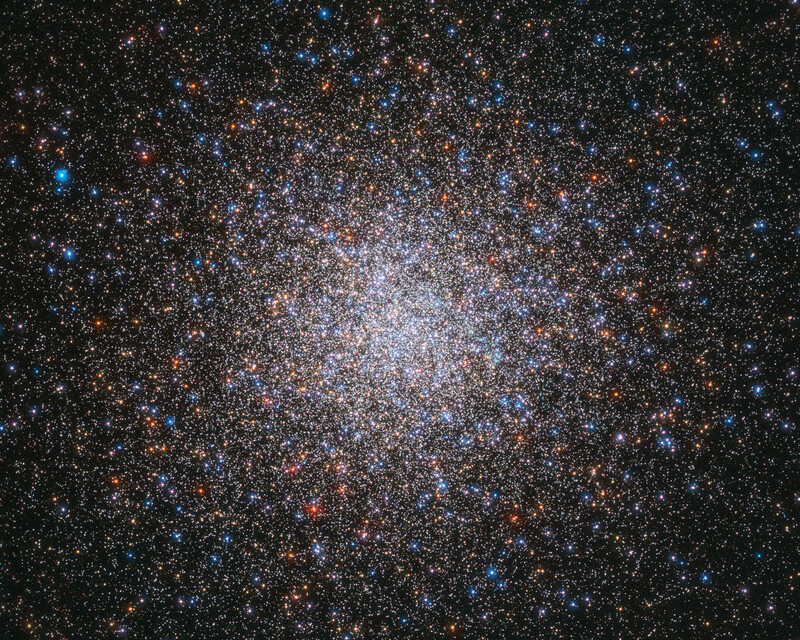 These large gatherings of celestial gems are striking sights — and the subject of this Picture of the Week, Messier 2, is certainly no exception. Messier 2 is located in the constellation of Aquarius (The Water-Bearer), about 55 000 light-years away. 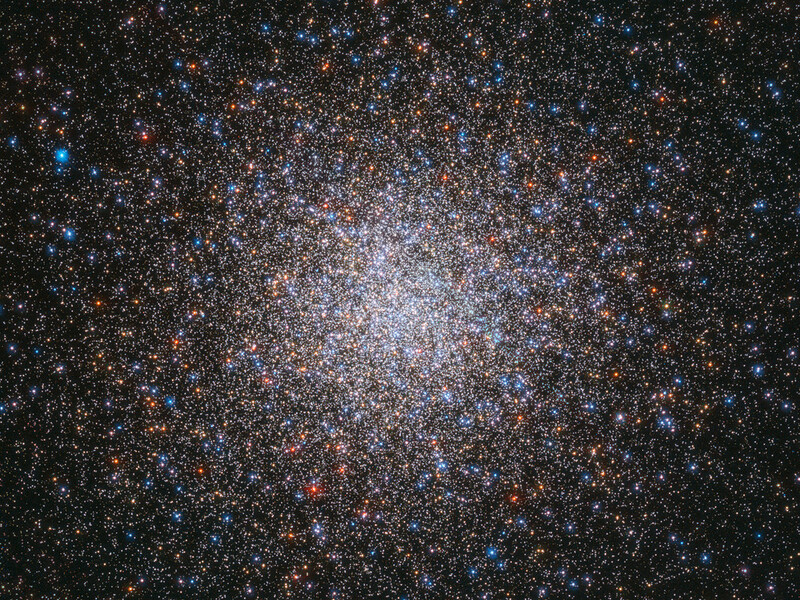 It is a globular cluster, a spherical group of stars all tightly bound together by gravity. 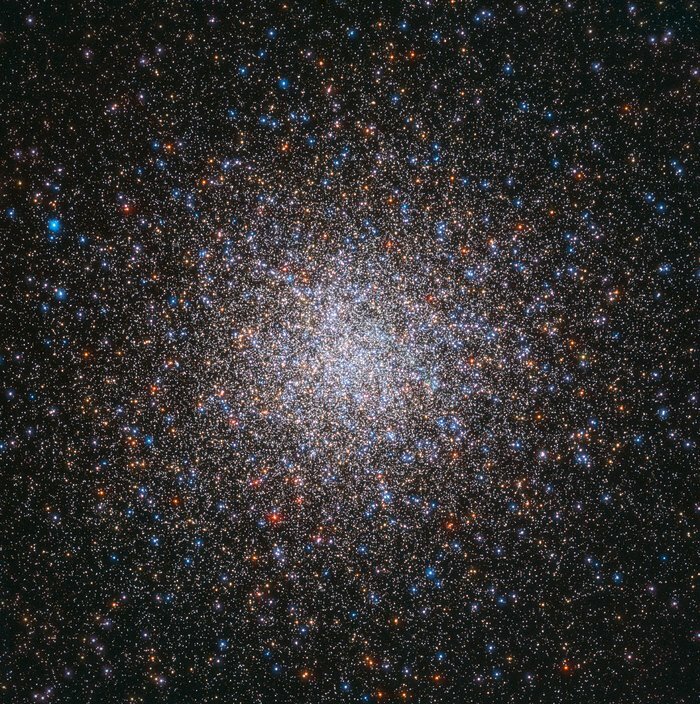 With a diameter of roughly 175 light-years, a population of 150 000 stars, and an age of 13 billion years, Messier 2 is one of the largest clusters of its kind and one of the oldest associated with the Milky Way. Most of the cluster’s mass is concentrated at its centre, with shimmering streams of stars extending outwards into space. It is bright enough that it can even be seen with the naked eye when observing conditions are extremely good. ESA/Hubble & NASA, G. Piotto et al. Position (Dec): 0° 49' 21.79"